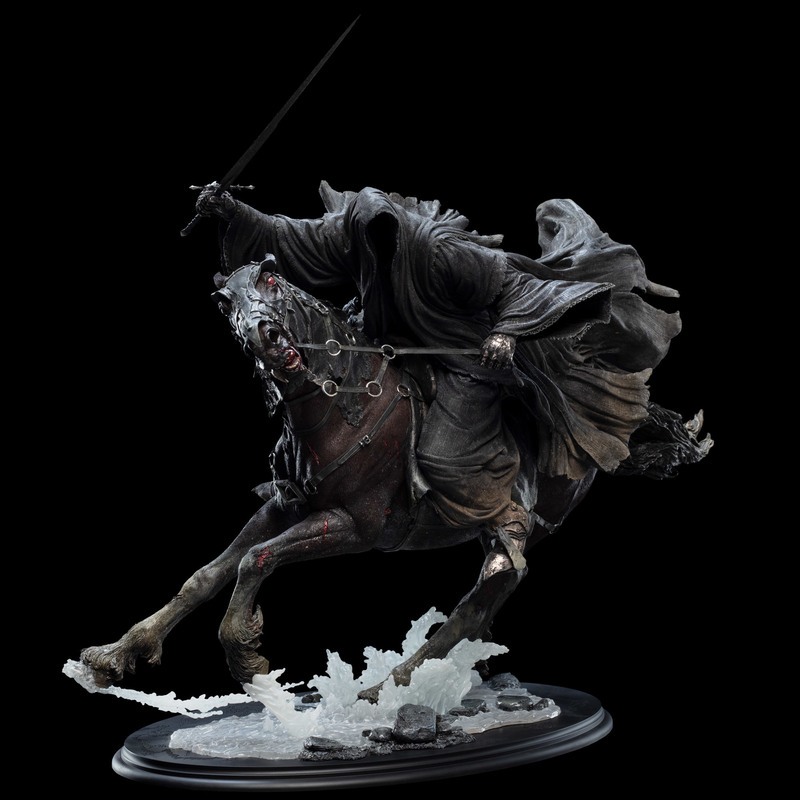 The Nazgûl were the greatest of Sauron’s fell servants. Immortal beings enslaved by Rings of Power to serve the will of the Dark Lord. the nine Ringwraiths spread fear and dread wherever they went. Few could withstand their coming. empowered as they were by the spirit of Sauron inhabiting them. When word reached Mordor that the long lost Ring had been found. the Nine were dispatched as riders in black to hunt for its bearer. In this task they were relentless. giving no quarter and needing no rest or sustenance. Even the horses that bore them would run until their bodies crumbled. spurred beyond the limits of endurance by the terror on their backs. At the Ford of the River Bruinen the Ringwraiths caught up with their quarry. Already wounded. Frodo Baggins was close to death and could flee no further. As his black-cowled pursuers prepared to cross the river and claim him. the Hobbit’s protector. Arwen. called upon the waters of her father’s realm. Mighty though they were. the Ringwraiths had good reason to fear the Bruinen. for it flowed through Elven lands and a powerful enchantment lay upon it. Rising like a wall of stampeding white horses. the river turned wild and threw itself at the Wraiths. putting the Nine to flight as it bore down upon them.